Regardless of your company’s size or type of entity, Fuller Lowenberg & Co., CPAs, P.C. has the experience and capability to provide you with a wide range of accounting, tax, and innovative advisory solutions that will help your business move forward, take decisive action and achieve sustainable results. For over a quarter century, we have prided ourselves in implementing individualized tax and strategic planning throughout the year…not AFTER the year is over! Our high standards and dedicated team members ensure that each client is given the attention they deserve. We take deadlines seriously, utilize the latest technology and believe that by constantly providing continuing professional education to our team members, we are able to take advantage of the latest laws and trends to help you and your business prosper. Our quality control program ensures that each tax return, financial statement and other work product is reviewed by our QC department prior to its completion. It is because of the quality of our advice and the accuracy of our work product that allows us to be on the recommendation list of many financial institutions, brokerage houses, surety companies and respected business professionals in the New York, tri-state area. Trust, integrity and vision in providing each client with proactive tax and business planning to uncover financial savings and tax opportunities. Design firms have unique challenges and complex reporting requirements specific to your industry. Fuller Lowenberg is well versed in working with design firms and can provide the accounting support your business needs. It is challenging to understand the intricacies of recording and reporting transactions for auto leasing companies. The Fuller Lowenberg team can provide interpretative guidance and direction to help your business manage all aspects of auto leasing. Closely-held businesses face unique accounting and tax challenges that differ from larger, public companies. We’ve worked with hundreds of closely-held business clients from very small start-ups to seasoned medium-sized businesses and have the expertise to help you navigate complex issues and concerns throughout the life cycle of your business. Volunteer Board Members are elected to represent shareholders and unit owners to enact & enforce the bylaws and house rules that profoundly impact residents’ daily lives. Volunteers require guidance and support to manage their association’s business and accounting functions. The team at Fuller Lowenberg understands how to facilitate their fiduciary decision-making process and enable them to meet their commitments and responsibilities to those they serve. We care for the financial needs of doctors and other professionals in a variety of specialties so you can focus your attention on your patients and clients. Fuller Lowenberg offers high-level guidance to assess your current needs and build your personal wealth. We understand that solid financial reporting and tax planning is critical to a well-run insurance agency. Fuller Lowenberg can help optimize your business efficiency to keep you on track to fiscal stability and long-term prosperity. We represent a broad range of professional service providers and fully understand the tax implications of cash basis versus accrual basis reporting requirements and its impact on income tax mitigation strategies. The manufacturing and distribution industry continues to grow more complex as it relates to inventory controls, technology, tax incentive plans (both federally and locally), nexus issues and logistics. Fuller Lowenberg has the industry experience to help you maintain compliance, maximize your profits and plan for your future. We work with numerous Not-For-Profit Organizations to help them navigate their finances so they can remain mission-focused and concentrate on those they serve while properly reporting their activities to the various governmental agencies and to the public they serve. We represent dozens of professional athletes and our services include paying all of their bills, procuring and maintaining all forms of insurances for them, coordinating with their other professionals (agents, investment advisors, insurance brokers, etc.) in addition to tax planning & tax preparation. We take the stress out of their daily lives so that they can concentrate solely on their sport. Specialized services are needed to meet the unique needs of the real estate industry. Contractors to sub-contractors, residential to commercial developers, management companies to agents…all present different challenges. Fuller Lowenberg understands industry standards and provides our clients with guidance on current and forthcoming accounting rules that are unique to this industry. Transportation and logistics exist in a complex and ever-changing environment with challenges including fleet replacement decisions and global economic changes. 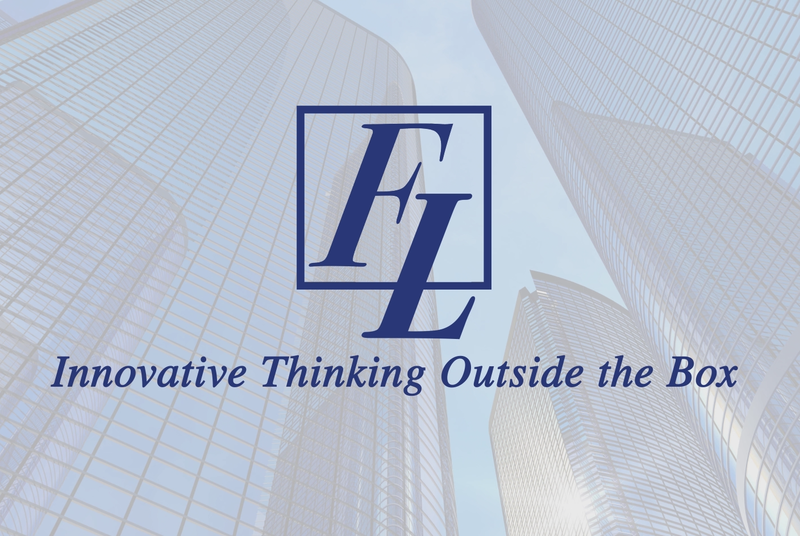 Fuller Lowenberg can provide expert advice and precise execution of your business needs. Our Firm works with qualified third-party valuation firms to provide expert valuation services for our clients. We have established long-term relationships with valuation firms across the tri-state area to assist in meeting the business valuation needs of our clients. Whether you are considering buying or selling a business, entering into a buy-sell agreement, negotiating a shareholder buyout, succession planning or gifting and estate planning, our team of professionals can guide you through the valuation process and ensure that you are protected throughout. The rule that most accountants follow is that when you purchase a building, 20% of the cost of the purchase is allocated to land and 80% of the cost is allocated to the building which is depreciated over either 27.5 years (residential property) or 39 years (commercial property). Cost Segregation consultants can prepare a study of your acquisition costs that will break down the purchase price into components that are depreciated over much shorter periods of time, thereby reducing your taxable income resulting in less taxes currently being paid. We will match your purchase with one of our Cost Segregation experts to prepare the study. Our Firm has secured hundreds of thousands of dollars in Research and Development Tax Credits for our clients. These economic incentives were implemented to stimulate research and development in industries of all sizes to encourage companies to work together and to transform the economic landscape. The Research & Development (R&D) tax credit is for businesses of all sizes, not just major corporations with research labs. This is a highly overlooked tax savings for many small to mid-sized businesses. If you are in the industries of manufacturing, fabrication, machining, aerospace, distribution, engineering, architecture or developing software and your CPA has not discussed these incentives with you, call us today. What kind of retirement plan is best for you and your company? Defined benefit, Cash Balance, Profit Sharing, 401(k) - or a combination of plans? Our team of professionals will help you make these decisions, taking into consideration your profitability, cash flow, business succession plan, and retirement goals. Whether a sole proprietor or a company with many employees, there is an array of pension designs that can be implemented to significantly reduce taxes and assist you in reaching your retirement goals. By the time you reach age 65 (and before that age in certain situations), you will need to decide on whether to take Medicare Part A (hospital insurance) and whether to purchase Part B (medical insurance), Part C (Medicare Advantage Plans), Part D (prescription drug coverage) and should I consider purchasing Supplemental Coverage (Medigap)? Your current employment situation, financial stability and personal medical situation all play a part in your decision. To help select the plan(s) that is best for you, our Medicare Planning specialists can help you to select what may be best for you. Should I start taking social security at age 62 or wait until my full retirement age? Should I consider waiting until age 70 and, if so, what is my “breakeven” age? Should I consider filing a restricted application? Your marital status, family health history and financial situation all have a bearing on when and how to start taking social security. The answers to these questions will be answered by one of the Social Security professionals that we utilize. 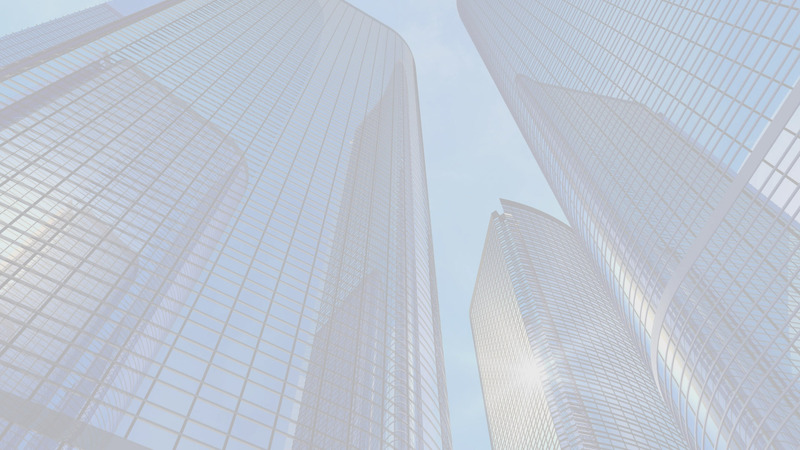 Howard has keen knowledge in the fields of real estate development, retailing, distribution, health care services, law, insurance, contracting and construction as well as other personal service entities. Tom has vast experience servicing clients in the fields of real estate development and construction, distributors, printers, mail houses, leasing, condominium and homeowner associations. Matthew specializes in serving the firm’s business clients and the related business owners. He is experienced with many types of complex tax, accounting, auditing, and compliance.
" I've been nothing but overjoyed by the quality of the work Matt has done. He answers every question and wants to make sure you understand not only what he's doing, but how it is improving or impacting your business. I don't see myself ever switching accountants. " " In my experience as a business owner, I have found it a rare occurrence to work with an organization with just the right balance of professionalism combined with genuine care. Fuller Lowenberg & Co is one of those rare occurrences. " " Working with FL ended up being one of the best decisions ever for my business. Howie has done an above average job handling everything and anything that I set before him. I couldn't be happier with the decision. " " We have known many of the staff of Fuller Lowenberg & Co. CPA's, PC for well over 25 years. We've had the pleasure of watching their practice grow and prosper over those years in no small part due to their excellence and expertise. " " I truly appreciate your expertise and the diligence of your staff to complete our tax review and filings. Your work facilitated a major reimbursement which was critical to our cash flow needs. " " Fuller Lowenberg & Co. has served as Panor Corp.’s certified public accountants since the year 2000. During the course of this extended professional relationship, we have found the work performed to be impeccable and timely. " " I have been a client of Fuller Lowenberg & Co. for over 5 years and am extremely pleased. Everyone there is always professional, courteous and well organized. " " Fuller Lowenberg & Co. CPAs, P.C. have serviced our Condominium community for 20+ years. They are dependable, extremely knowledgeable on all aspects of accounting and they address updates with our staff immediately. " " My husband and I continue to thank a friend for recommending we contact Howard Fuller of Fuller Lowenberg & Company, CPAs. Howie is very knowledgeable about the tax laws and is extremely helpful in evaluating various ways to help us hang onto our hard‐earned money. " Alfred and Laurel Sutton of A.M. Sutton Associates, Inc.
" Last year, after my father passed away, you and your team worked effortlessly with the family attorney, and you directed us expertly and kindly throughout this sad and difficult process, completed and filed it in time, putting us at ease. " " FL has handled all of our accounting needs for over 10 years in the most professional & friendly manner possible. All of the partners & associates make it a point to know & understand our markets, customers, employees and professional relationships. " CM Richey Electrical Contractors Inc.
" We have been a client for over 20 years. The staff is highly knowledgeable and professional. They provide prompt, courteous and competent services with personal attention. I would strongly recommend Fuller Lowenberg & Co. CPAs, P.C. " " As a business owner, it is vitally important to be able to rely on a firm that provides prompt and accurate services and information. I can rely on FL and their experienced staff with the help I need to run my business. " " The Long Island Maritime Museum has used the services of Fuller Lowenberg & Co. for many years, having found their extensive knowledge of Not-For-Profit institutions an enormous benefit to our organization. " " The Fire Island Lighthouse Preservation Society has worked with Fuller Lowenberg & Co., for over 20 years and have been extremely satisfied with this relationship. " " I was immediately struck with Howie Fuller’s professionalism, understanding of our business and capacity to serve our critical needs. First Coastal became clients that same day. " " It has been five years since I hired Matt and the team at Fuller Lowenberg, and I feel I must take this time to thank all of them for the fine job they do. Without their knowledge and guidance I don’t know where my business would be today. " " I have been using Fuller Lowenberg & Co for about 7 years. It is one of the best business decisions I have made in the last 26 years. Their professional tax planning has helped me retain more of my profits. " " Advantex Solutions has been working with Tom Lowenberg and Fuller Lowenberg & Co. for over two years now. In the business environment, an accountant transition is very difficult, but Tom and his staff made it simple and pleasant for our company. " Fuller Lowenberg & Co., CPAs, P.C.